If your life is anything like mine, you find it's a struggle to not lose yourself in the shuffle of family, job and getting through every day. Further, the holiday season is all about everyone else. And that's fine. I'm all about giving; it's what bring me joy. Side note: I do need to do a better job of giving my family present ideas, however. The annual, "I don't need anything" line has resulted in the culmination of a collection of "Cadillac" kitchen utensils and gadgets. Where my dear husband finds $30 pancake turners, I'll never know! I won't get started on the new cheese grater.... I'm quite certain it has the potential to remove siding from a house, if one were so inclined! Now that the tinsel has settled, it's time to relax, re-group and re-focus. Some of that focusing is going to be directed specifically at yours truly. I caught my reflection passing the foyer mirror yesterday and emitted one of those horrified, little screams. Okay....it was more than just a little scream. Today's agenda: book appointment online at the salon for Monday and spend some quality time with "Mommy's little helper". 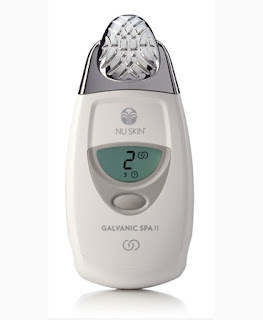 Aka...the Nu Skin ageLOC Galvanic Spa II! While I may not be able to cut and style own my hair, I can certainly pamper my skin with a spa-quality treatment at home. Nu Skin offers you the ability to pamper yourself with age defying treatments at a significant savings as compared to cost of similar treatments in a salon setting. Smooth the appearance of fine lines and wrinkles, rejuvenate your complexion, revitalize your scalp, and renovate your body with the patented ageLOC Galvanic Spa System II. This new System features a larger, brighter display, intuitive usability, and enhanced ergonomics. Results are so remarkable, your radiant, youthful face and body will leave people wondering about your age and your secret. How does ageLOC bring out the youthful beauty and potential in your skin? It's all about the science! AgeLOC doesn't treat the signs of aging, rather targets the genetic contributors to aging. AgeLOC is designed to work with the Youth Gene Cluster, resetting the cluster to it's "youthful pattern of activity". Nu Skin offers a full line of products, all designed to revitalize you! to a full line of hair, body and even oral care products. 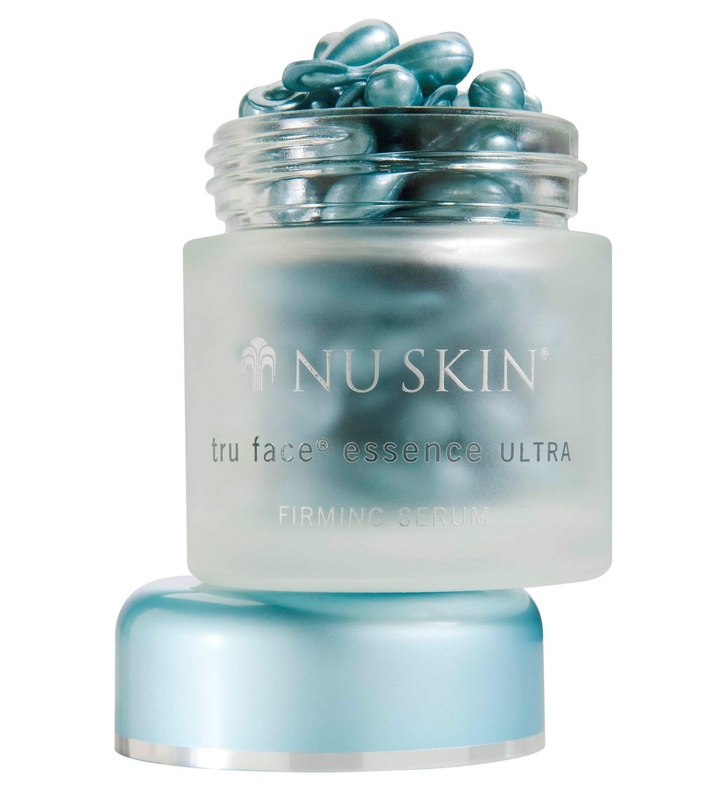 Nu Skin further offers a line specifically designed for men. Nu Skin offers the ultimate solutions to personal pampering! 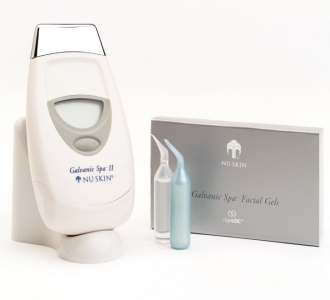 Nu Skin ageLOC Galvanic Spa II Kit for $375.00. A tremendous savings over comparable treatments in the salon. Nu Skin is a company that gives back! You can participate! Become a Facebook fan and "like" Nu Skin. 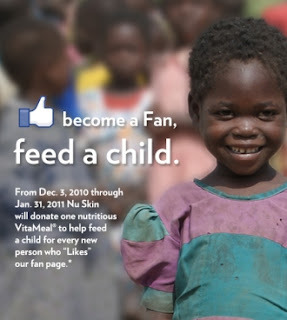 Through January 31, 2011, Nu Skin will donate one nutritious Vitameal to help feed a child for every new person who "likes" their fan page! You can learn more about the full scope of Nu Skin humanitarian efforts on Facebook. I'm thrilled to announce that Nu Skin has generously offered an opportunity for one of my readers to win a complete Nu Skin ageLOC Galvanic Spa II Kit of their own! To enter, you must follow my blog via Google Friend Connect. The giveaway runs from Sunday, January 2, 2011 through Saturday, January 29, 2011 midnight, EST. The winner will be randomly selected from eligible entries. Open to residents of US & Canada, 18+. Winner will be notified by email and will have 48 hours to respond before I move on to a runner up. Please include your email address in all entries so that I may contact you if you are the winner! To enter, you must follow That's What She Said via Google Friend Connect, right side bar. Please visit the Nu Skin website and then tell me in a comment either something you learned about the company and their products pr tell me about a product you'd thrill to try and why. * Tell me in a comment about another Nu Skin humanitarian effort, 10 entries. * Enter any of my other active giveaways and leave comment letting me know which, 3 entries per each additional giveaway. * Share this giveaway in some fashion, whether by blogging, linky, stumbling. Handy share button at bottom of the post. 3 entries per method. * Tweet about this giveaway with a direct link and leave a link to your tweet in your comment. 3 entries/tweets per day. Congrats to Gina, comment #823, courtesy of Random.org! The opinions expressed above are honest and my own. Images and information taken from various Nu Skin sites. I was provided a Nu Skin ageLOC Galvanic Spa II Kit for purposes of exploring to create this review. Prize for this contest is supplied by Nu Skin. I'd love to try the Tru Face Essence Ultra! Sounds awesome. I am following you with Google Friend connect. I like the whole anti anging line. I like that it starts with vitamins! I learned they don't test on animals. YAY! I follow you via GFC (Cassie Dow) and would love to try their Epoch Baobab Body Butter to help combat winter dry, itchy skin! I like the epoch marine mud and I follow via gfc! I am a GFC follower and I learned that Nu Skin is able to identify critical arSuperMarkers called Youth Gene Clusters, which are functional groups of genes that regulate how we appear to age. Remarkable. Love it and I would also love to try the G3 Juice too. I just might do that right now. Follow Nu Skin News on twitter too. Subscriber by email too and love it! Follow you tsue1136, on twitter too! Entered your CSN giveaway too. Got your button here too! Posted your giveaway here too! The Nu Skin Force for Good Foundation, in partnership with local non-profit organizations and civic groups, initiated the project in 2006 with two goals. The first was to build an actual village. The second objective was to make the village a "living classroom" where 40-50 farmers and their families would come to be educated and trained to become economically independent and less vulnerable to drought. What a company!!!! I have Encouraged others to participate in the Nu Skin Feed A Child program here on my Blog page too and will continue to do so! i follow as (mverno) and sbout the company-Blake Roney, Sandie Tillotson, and Steve Lund decided to build a company that would combine innovative personal care products with ingredients that subscribed to the philosophy of “all of the good, none of the bad” and a generous business opportunity that would attract high-caliber salespeople. They're also involved in the Force for Good Foundation with the Mtalimanja Village in Africa. I spend a lot of time helping my husband with his colostomy (and cleaning up the smelly mess) so it is time for some me time. Tru Face Essence sounds like a wonderful treat for me. I would love to try their Tru Face Line Corrector. I'd love to try the perennial intense body moisturizer. My skin really takes a beating during the winter, and this product looks like it would soften the blow. I'd love to try the Nu Skin Anti-Aging Skin Therapy System because, now at age 47, my skin is becoming dull, dry and less elastic! They are also involved with Force For Good which helps children with literacy, getting them out of poverty and also food.